Iraq, Afghanistan, Nigeria, Pakistan and Syria suffered the largest number of terrorist attacks in 2014, the worst ever year for terrorism. According to the Global Terrorism Index 2015, published by the Institute for Economics & Peace, these five countries were victims of 78% of all attacks last year. 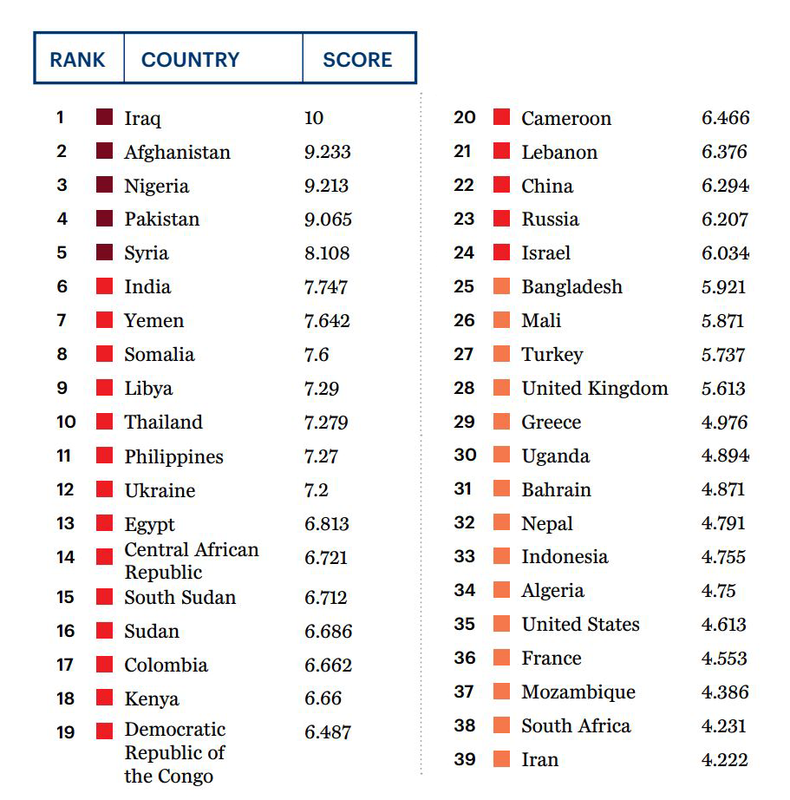 The index ranks countries against terrorism statistics, and analyses the causes and economic impact of terrorism. The table below shows the 39 countries which saw the greatest number of attacks, and their index ranking calculated against severity and frequency of attacks. According to the report, some 13,370 attacks across 93 countries killed 32,658 people in 2014. This was a rise of 80% over 2013, while the number of countries that experienced 500 or more deaths as a result of terrorism increased by 120%. Since 2000, there have been over 61,000 terrorist attacks killing more than 140,000 people. There are nine times more people killed in terrorist attacks in 2014 than there were in 2000. 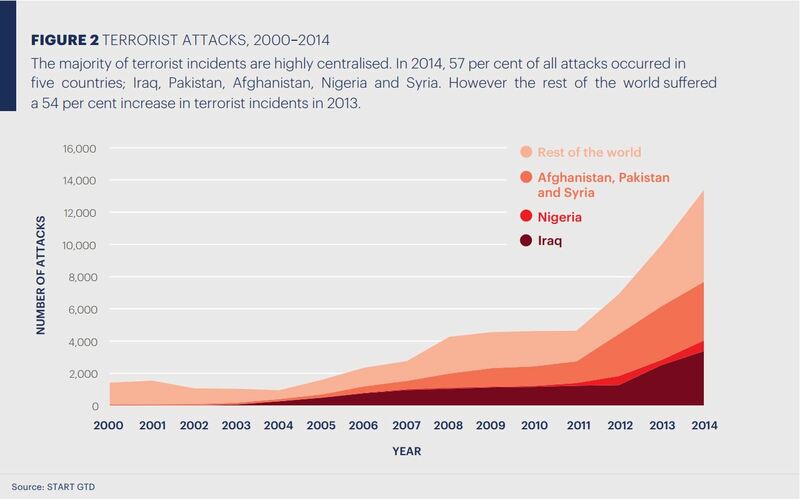 The chart below shows the rise in terrorism since 2000, and where it has occurred. Can tourist spots bounce back from terrorism? How can we address violent extremism?